This lot is an Original 1879 Wisden Paperback with a new spine added sometime in its life. 16th Edition. 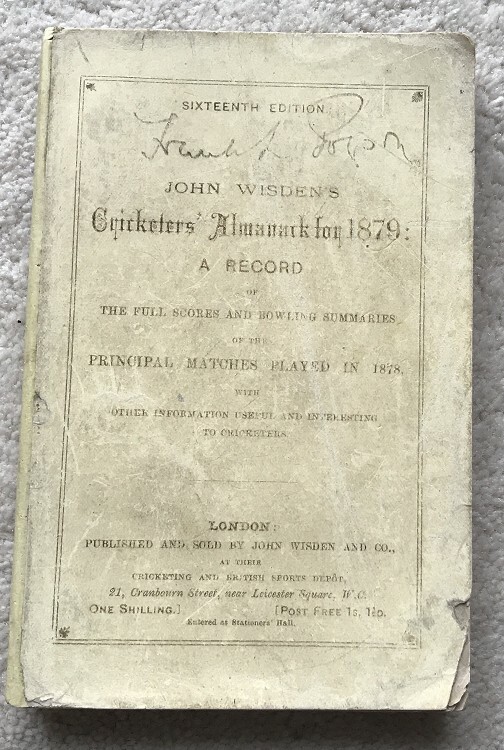 As with 1878 the covers tend to wear a lot with the new style materials used by Wisden , these covers have some fade and a name to the top of the front cover, there is some rounding of the corners and the bottom right of the front cover has a small loss. The rear cover is better than many. Internally nice, rounded corners but bearly a mark on the nice clean pages.